Be sure to add these delicious Epcot World Showcase snacks and treats to your ever-growing Disney World food bucket list! Here are the 10 best snacks and sweets that you absolutely must eat around Epcot’s World Showcase. And the best part about it is that most of these are quite affordable! Graham cracker, marshmallow, chewy caramel, graham cracker, milk chocolate covering, and caramel drizzle. Pure perfection. Get it from Karamell Kuche inside the German Pavilion. Six unique flavors displayed beautifully. Get it from Les Halles Boulangerie Patisserie inside the France Pavilion. Hands down the best dessert at Epcot. Get it from the Funnel Cake Cart in the America Pavilion. A true hidden gem that no one really knows about. Get it from La Cantina de San Angel in the Mexico Pavilion. Another “secret” treat right outside the Italy Pavilion. It’s a shame that not too many people actually get this. Only eat this if you’re addicted to caramel. A flaky cookie that’s lightly sweet, dipped in chocolate. Mmmmm. Forget about the school bread. This one’s better. Get it from Kringa Bakeri og Kafe in the Norway Pavilion. One thing separates this from all the other caramel popcorn options around Disney World as well as any neighboring theme parks – it’s super chewy! And for more delicious Disney World food pics and so much more, be sure to follow me on Instagram! These are awesome!! I would just add the Pressed Brioche Ice Cream Sandwich at Epcot’s L’Artisan des Glaces! By far one of my favs!! Thank you so much! This is definitely an awesome webpage!. I am new to all this…can you get one of these snack using the dining plan snack credit? Hi, you can get most except for the macaron box set. 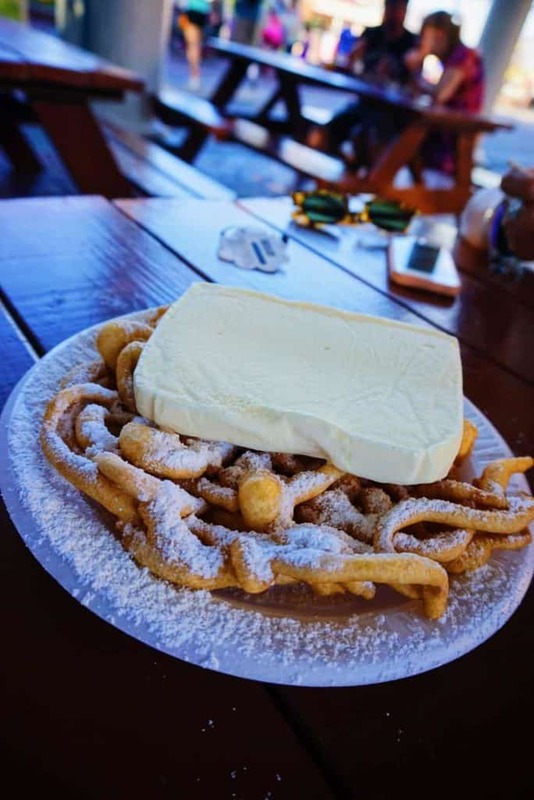 If you do get a funnel cake, you can only use your snack credit for the one without powdered sugar. Hopefully this helps! I tried the macaroons and tarte au fraises from France. Delicious. I also tried the caramel bar and werthers carmel corn in Germany very delicious. Didnt get to try the creme puff from Norway but it looked delicious. Very good suggestions.